In Brief: Hike up to the scenic Yellow Grass Plateau and cross it to find the 'Seven Towers'. 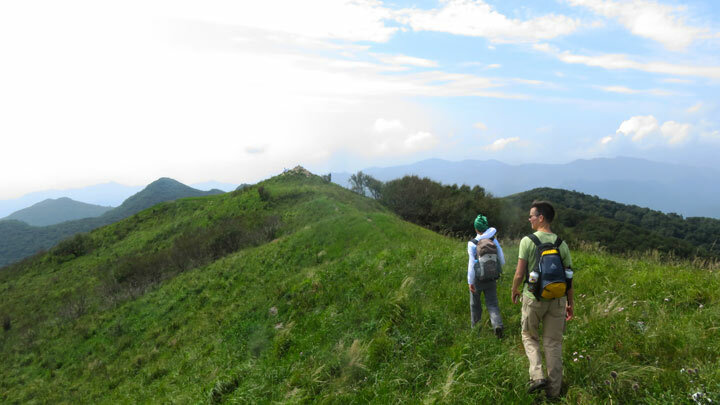 Hiking on the ridges above the Yellow Grass Plateau. UPDATE 2019/4/24: Local friends tell us the trailhead is shut down until October. We're doing the Pinnacle Tower hike instead. UPDATE 2019/4/22: We might not be able to do this hike because of fire restrictions in the area. Sign up anyway, and we'll let you know if there's any change to the plan. A tough two-hour climb gets us up on to the Yellow Grass Plateau, high in the mountains of Mentougou. 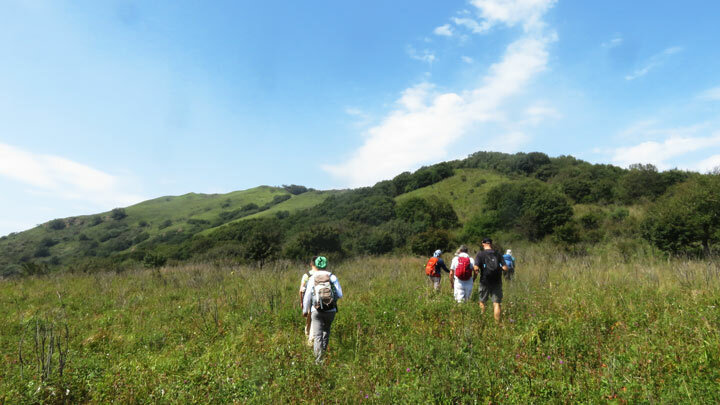 We'll take a break on the high altitude meadows before hiking on over the plateau to the Seven Towers, the highest Great Wall in Beijing Municipality. After a look about at the towers we head back to the start point, following a slightly different trail on the way down. Extra early start This hike is way out to the west of Beijing, and the drive time could be around three hours. We're leaving early to get ahead of any traffic, and to be sure we have enough time to complete the hike. 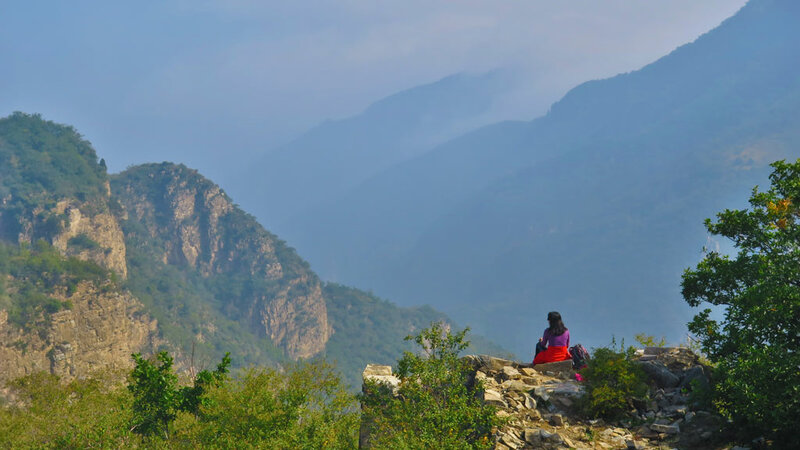 The first part of the hike is a two hour walk uphill along a road, up park steps, and through rocky crags along a mountain trail to a plateau at 1,700m above sea level. It’s a big climb, and it gets steeper just before we reach the plateau. 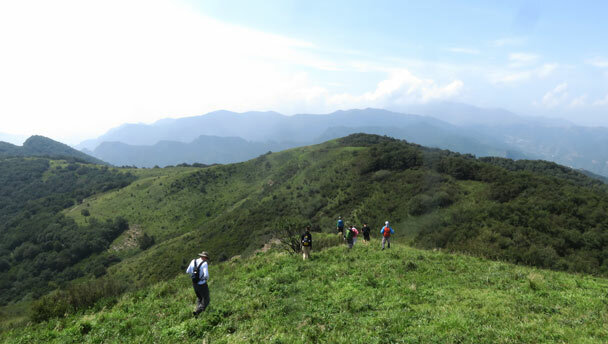 We'll take a turn to walk over to the large meadows of Shiliping, and should arrive there just in time for a lunch break. The plateau has a lot of nice flora, including ferns, bracken, flowers, and long grass. 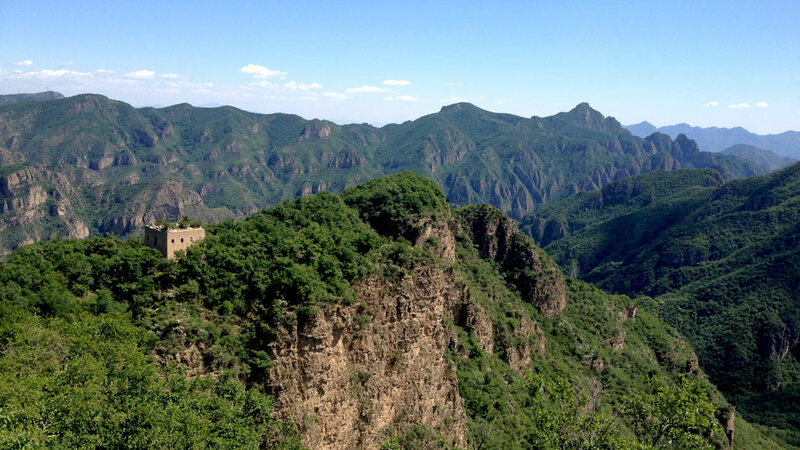 Dong Ling Shan – at 2,303m above sea level the highest mountain in the Beijing area – is visible to the west. At this point, most of the uphill for the hike is done, but we’ve still got a long way to walk before we finish! 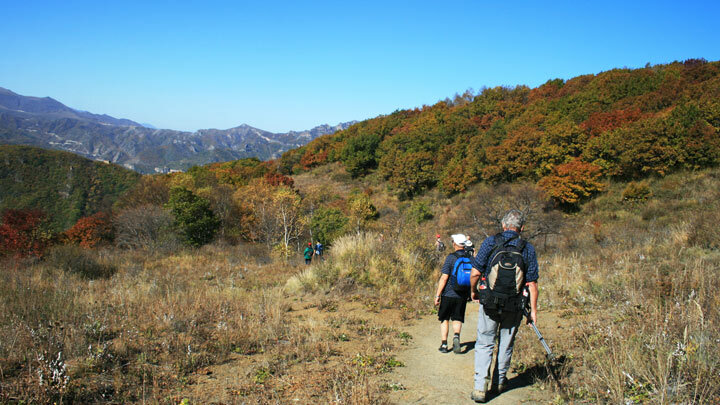 The next part of the hike is very scenic: first hiking up and over the highest hill in the area to find to the open trail across the plateau, and then dipping down into a forest atop rocky crags. 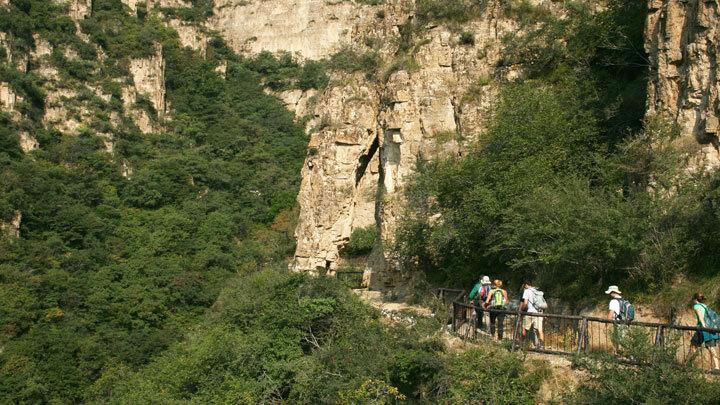 After about an hour and a half of walking we’ll arrive at the Seven Towers, an isolated stretch of Great Wall that is at an altitude of about 1,600m above sea level – the highest in Beijing. We'll take a break here before heading back to the start point of the hike. On the way down from the plateau we'll take the 'Big Road' for some different views on the way down.